Saturday was an important moment in recent street anti-fascism, no less because of the way it was coordinated. London Antifascists want to first extend a congratulations to the group who organised yesterday’s counter-demo, Movement for Justice By Any Means Necessary. 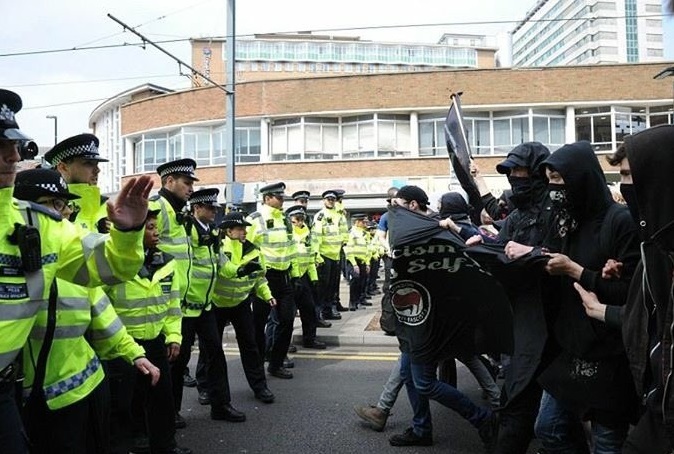 From early in the day, MfJ established a strong presence at East Croydon Station, ready to meet the fascists as they arrived. Attracting locals to join members, a crowd of nearly 200 people soon amassed and stayed, joining in chants of ‘When the community is under attack, we fight back!’ and ‘We will win’. And we did.